Rob Franco is known as a great golfer and golf teacher within the Pakistani American community of Greater Boston. What is now becoming known is that he is an equally accomplished painter. 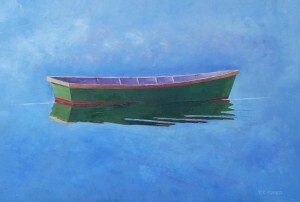 His recent works of arts are boats found in the many New England harbors and coast line. He has evolved from being an illustrator to an artist with a distinct style. 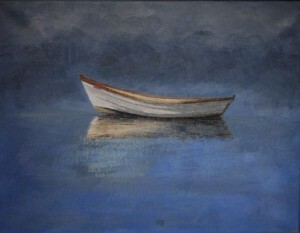 His choice of painting boats resonates well with people living close to the coast. 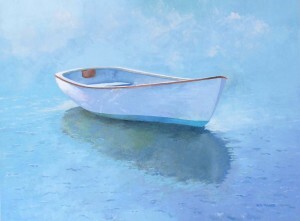 A white dory rests on the beach at low tide. 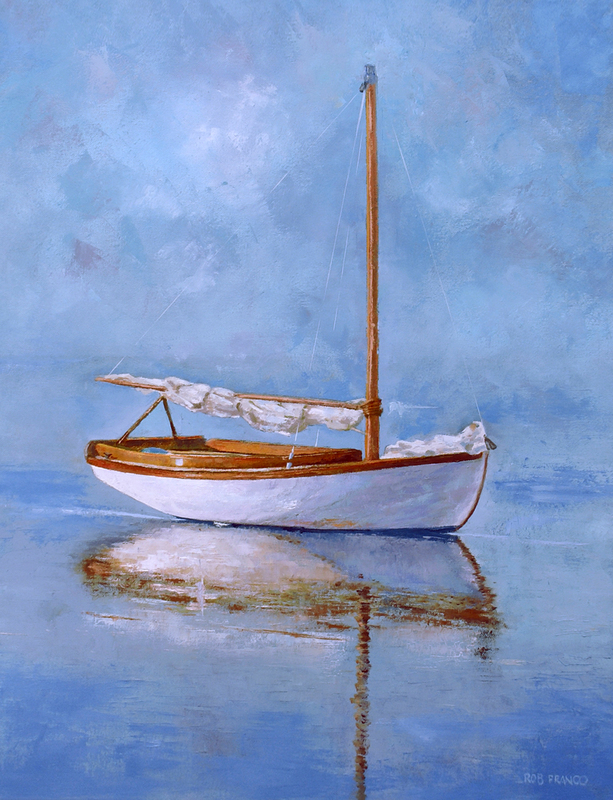 A sleek whaler merges with its own reflection in the smooth waters of Rocky Neck. The setting sun bathes an old rowboat in an autumnal glow. Now 71, Franco is returning to a childhood interest in oil paintings after an eclectic career in the military and business. He recalled receiving his first oil painting lessons as a child in Newport, R.I., from an elderly neighbor who painted still lifes while waiting for her seafaring husband to return home. While he regards himself as a realist, Franco paints boats in the water or on a beach in eye-pleasing ways that evoke feelings of soothing calm. 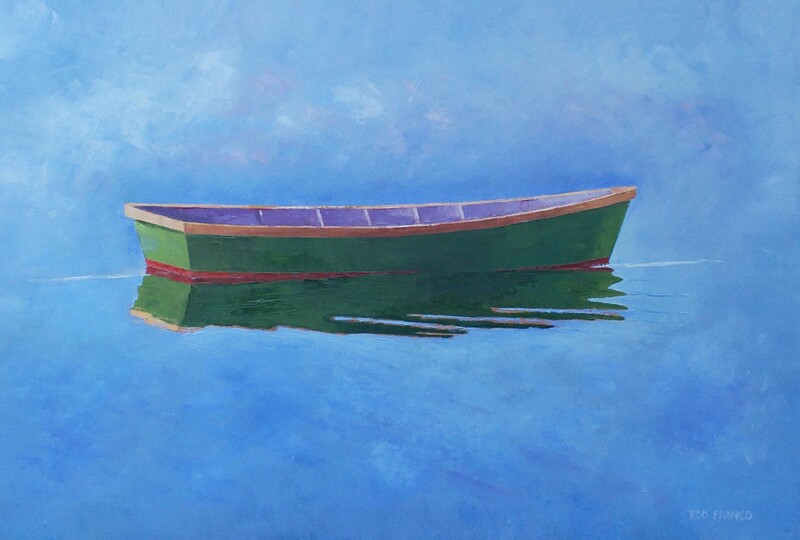 Traveling with his wife, he visits harbors, beaches and bays around New England and photographs interesting boats to paint, often digitally eliminating any obtrusive background objects. Together they’ve found interesting maritime scenes at Pigeon Cove in Gloucester, Green Harbor in Marshfield and Vineyard Haven in Martha’s Vineyard. Working out of a basement studio in his Pond Street home, Franco uses a small instrument called a brayer roller to apply layers of color to give his scenes depth and texture. “The roller allows me to move paint around the canvas. 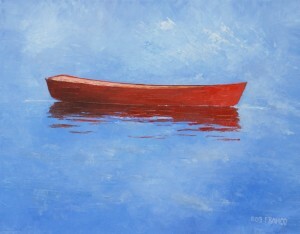 Then I use a palette knife to create an impasto effect,” he said. A skilled picture framer, Franco credits a long acquaintance with Natick artists Carolyn and John Evans for enriching his color palette. 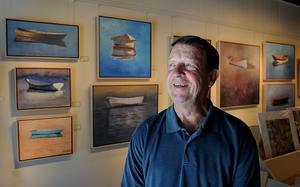 His work has also been hosted by the Field Gallery in West Tisbury and North Water Gallery in Edgartown. 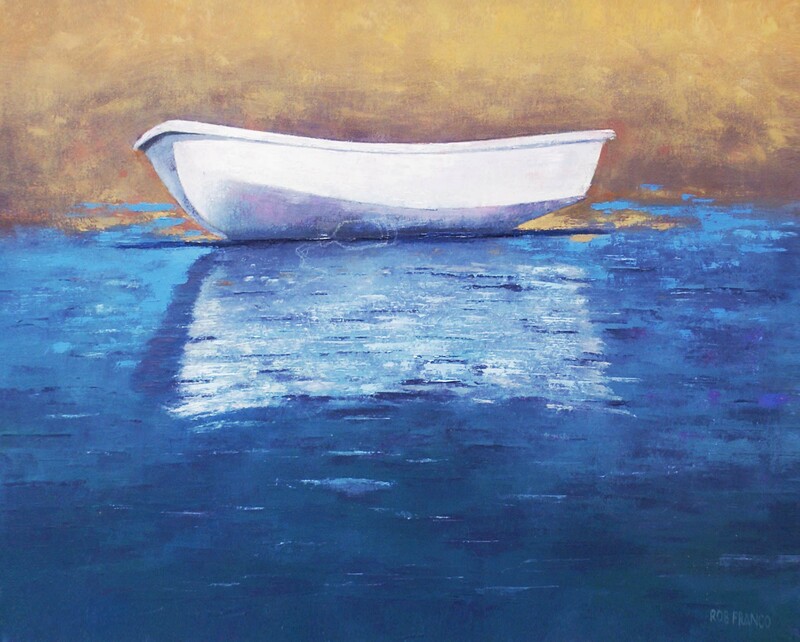 Over the last several years, Franco has worked with other painters and gallery owners to develop his own signature palette of vivid yet subtle colors that please viewers’ eyes without overwhelming the senses. He’s made the curious discovery that people who live along the coast prefer maritime scenes with bright colors while folks from the inland prefer subdued colors. After several years painting boats, Franco has trained himself to distinguish between and replicate the subtle differences of the play of light on sand and water. Hello, I am Aisha Faruqui, I am a 17 years old and I live in Karachi, Pakistan. I take Art as an A Level subject for which I am required to do a “personal/related study”, one that relates to my portfolio topic. I have chosen to paint the sport of rowing for my ten page portfolio, as I have been rowing since 2007 and have developed a serious passion for the sport. 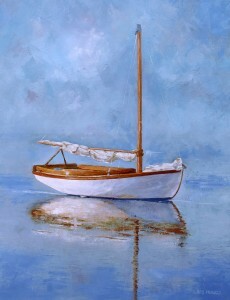 Though the focus is more on the equipment, such as, the structure of the boats. Therefore I have decided to focus on artists who enjoy painting boats for my related study. I was wondering if I may contact Mr. Rob Franco, as I am very fond of his paintings, and ask him a few questions which would help me with my work a great deal.